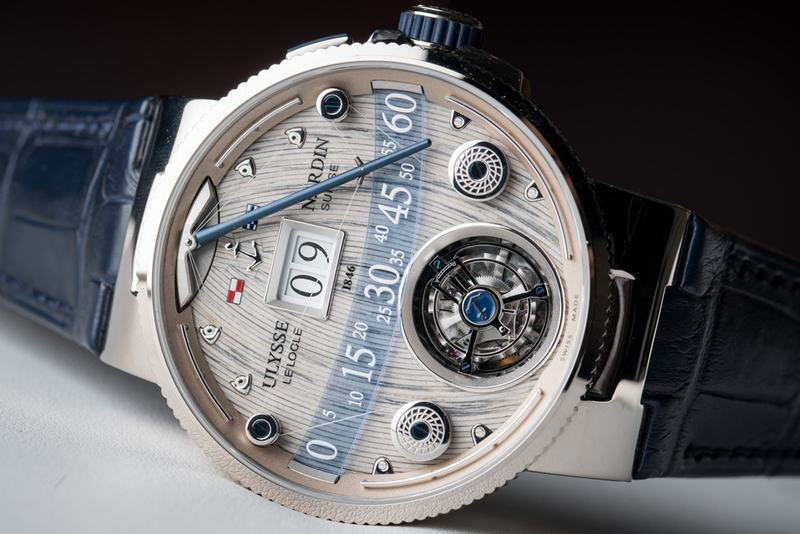 Ulysse Nardin introduced the Grand Deck Marin Tourbillion at Baselworld 2016. 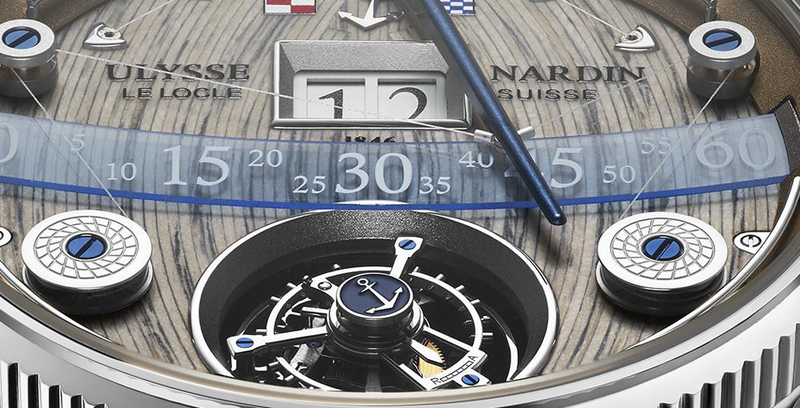 The nautical-inspired design and function of the chronometer is inspired by the deck of a ship. 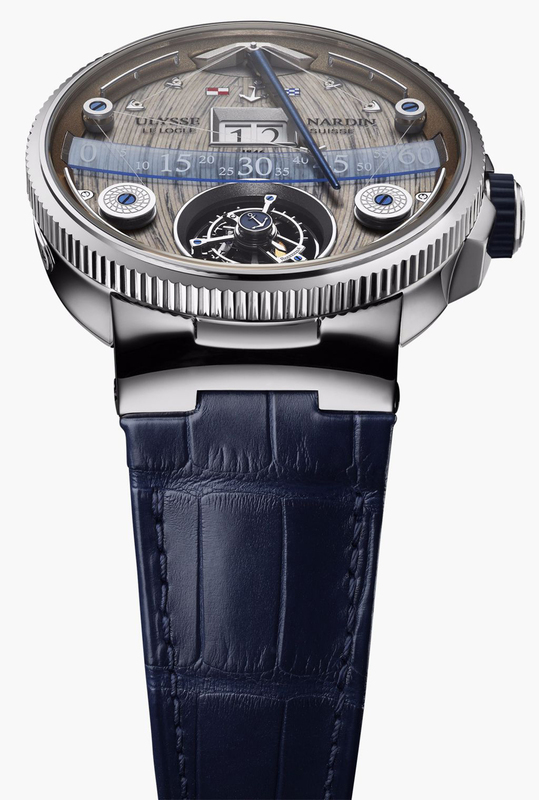 Made from hand-crafted wood inlays, it also features a boom that reaches out to the 12:00 position to indicate retrograde minutes. Even this is represented, well aligned to the marine thematic. 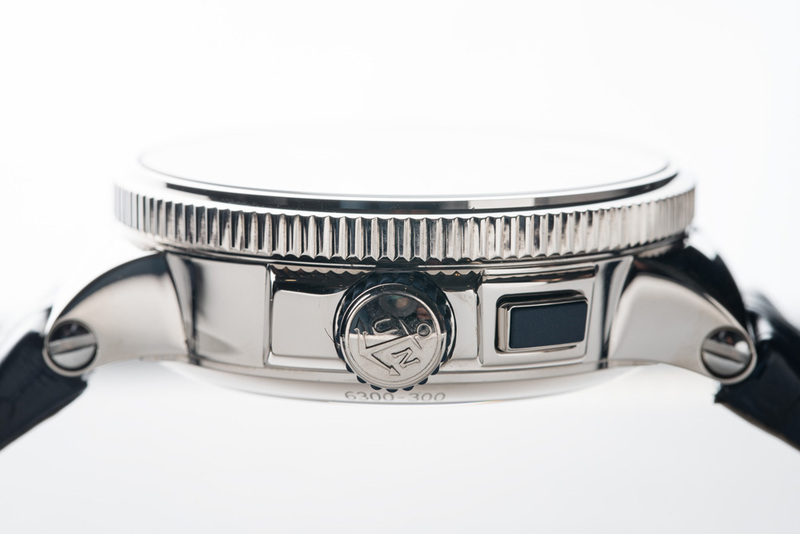 The indicator runs horizontally across the face of the watch in a fine arc shape that resembles the latitude line used by mariners. On reaching 60 minutes, the boom automatically resets to 0. Little nanowires that resemble the masts of a ship cause the pulling of the boom. 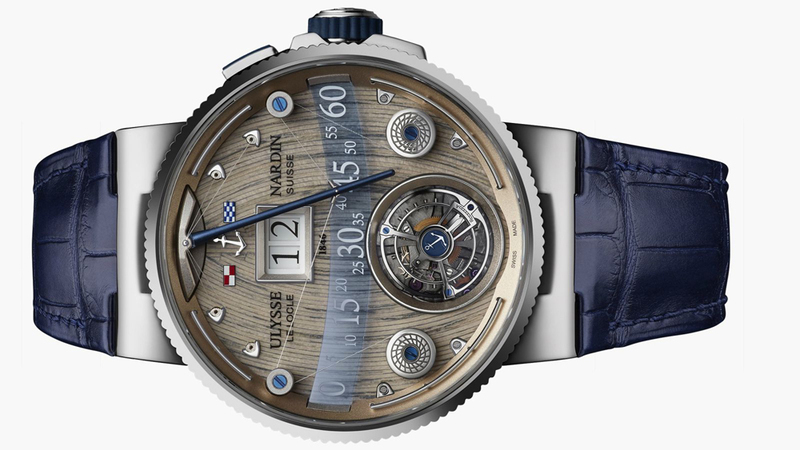 A second barrel incorporates a stunning 60-second flying tourbillion escapement at the 6:00 mark that features the Ulysse Nardin anchor at the heart of it. 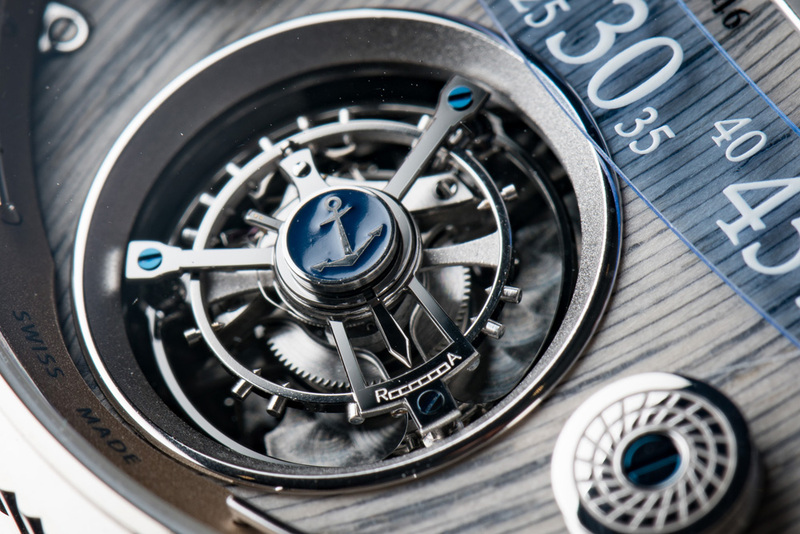 It functions with the help of fibers, thinner than human hair. 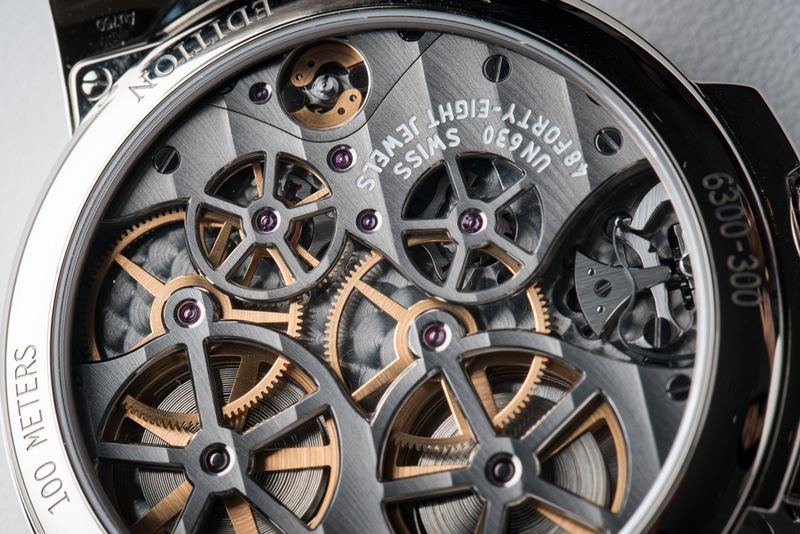 At 5:00 and 7:00 are situated two large disks that drive the ‘jumping’ hours. The hours are displayed digitally. 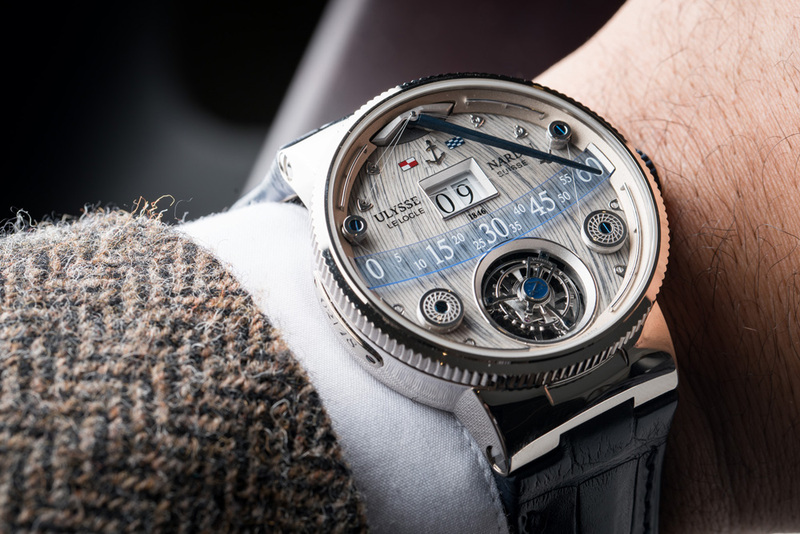 The watch leverages a complex manual-winding movement called Caliber UN-630, which consists of an incredible 469 parts and offers 48 hours of power reserve. 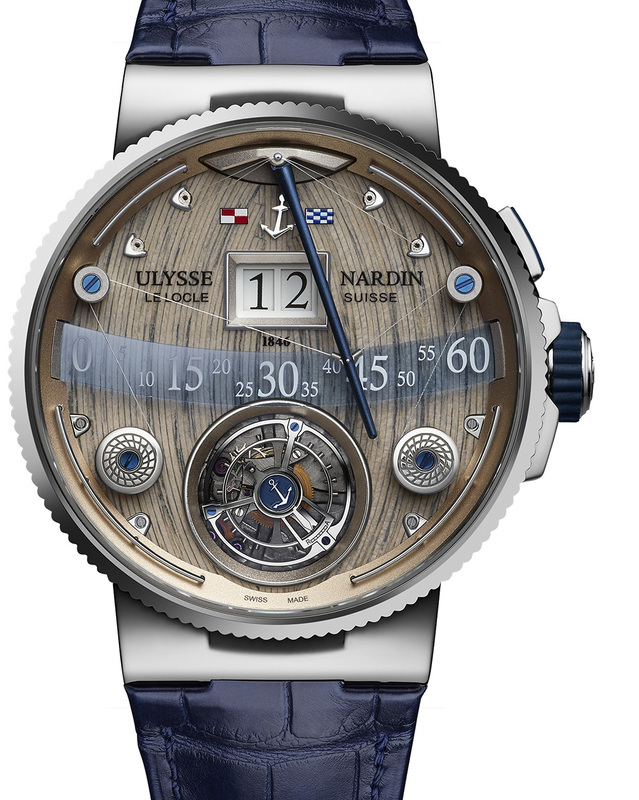 The Ulysse Nardin Grand Deck Marine Tourbillion chronometer will retail for about 285k Swiss Francs, which is around $293k. 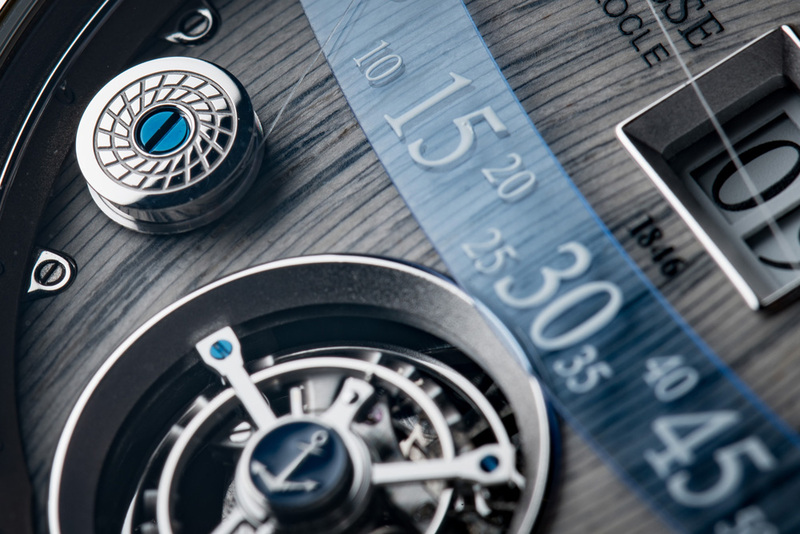 And if you’re interested in amazing watches sure to check 50 Best Black Watches.